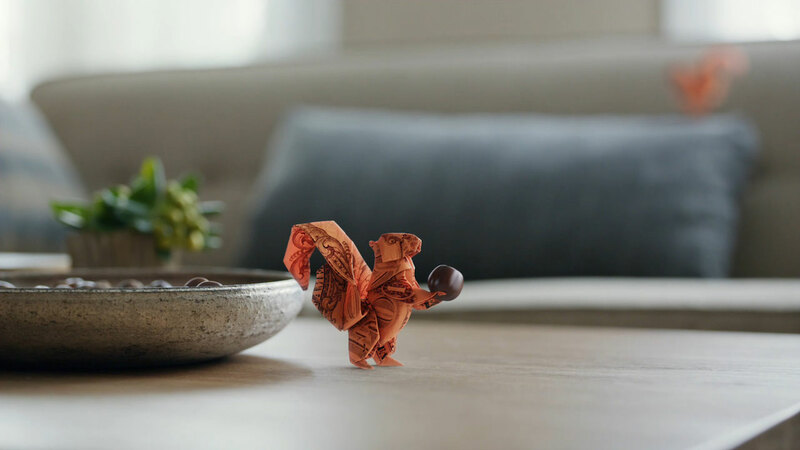 An origami squirrel finds savings in Voya 'Origami Squirrel' created by BBDO and RESET directing duo TWIN in collaboration with The Mill. 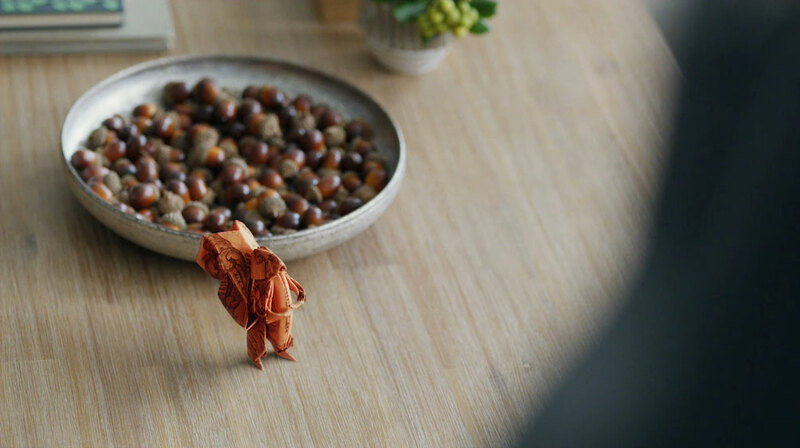 An orange origami creature was crafted from traditional kami paper and used for size and lighting reference on set. 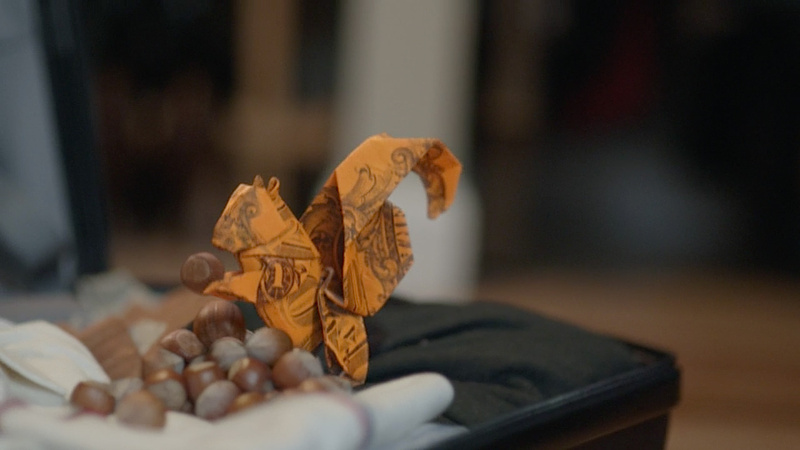 The Mill's 3D artists then had a new squirrel folded from an oversized dollar bill and studied each and every fold needed to recreate the animal within a digital environment. 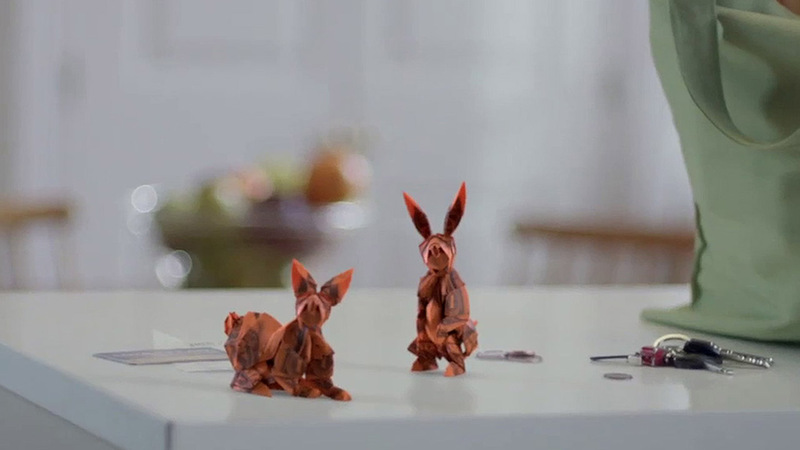 The squirrel was crafted to have an interesting mix of authentic origami and stylized look. 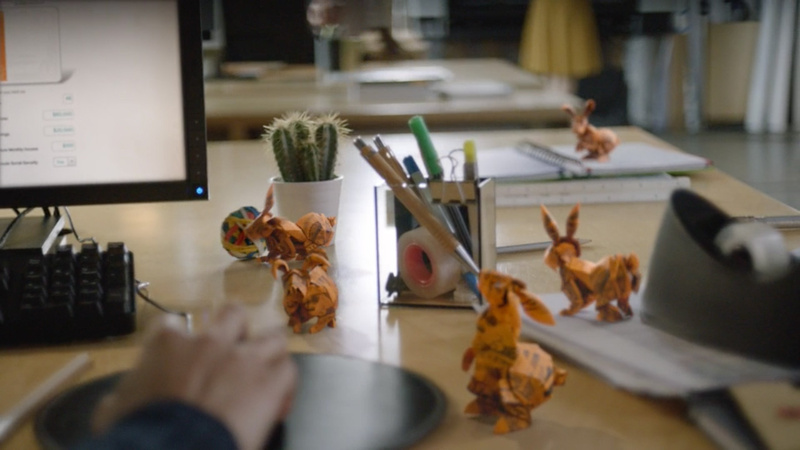 The artists took creative license and placed wingtip sworls of the dollar bill on the face to look like eyes, and adjusted to silhouette to read clearly as a rabbit. 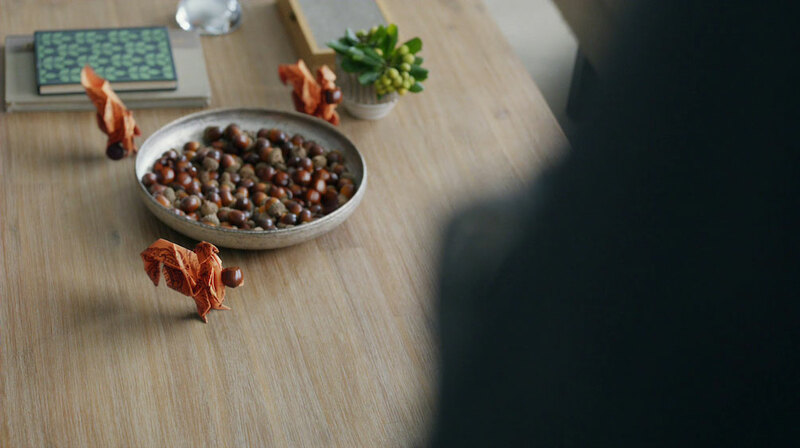 The spirit of each animal was kept by analyzing real life gait and movements and incorporating their own interpretation of how an origami animal would move using a distinctive twitch of the nose or flick of a bushy tail.